Are you looking for a unique gift idea? Do you want to gift something that will be used often? I have the perfect solution for you: a photo blanket from Collage.com. 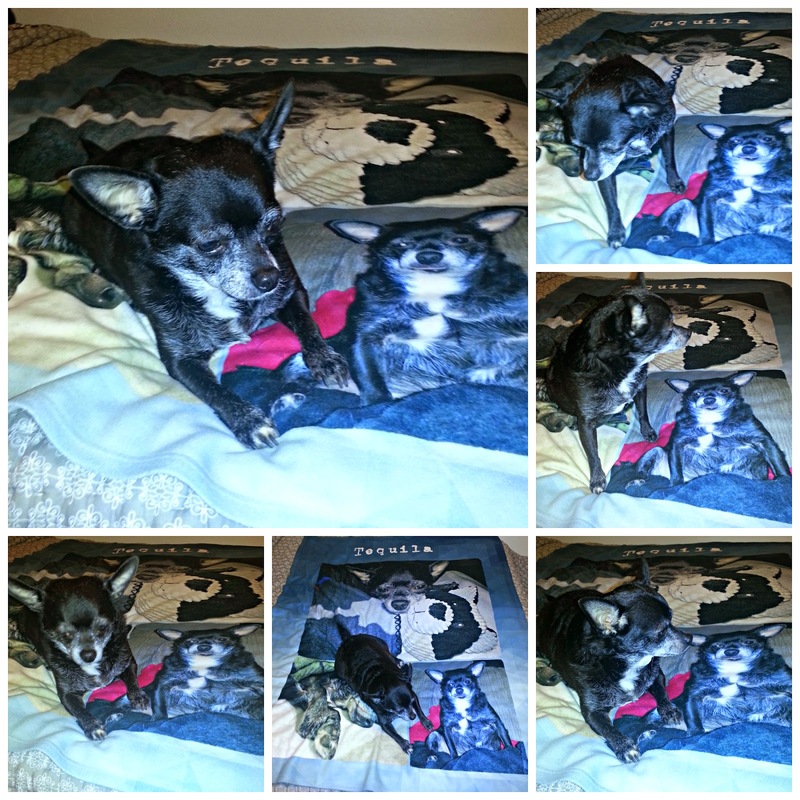 In the end, I decided that I wanted to maximize the photos of my dog on the blanket. After playing around for about on hour, I decided on three photos and the gradient background with his name at the top. The end result was gorgeous! I thought it was pretty funny that you can see the dog hairs in the print on the top picture. In that picture he is laying on his white "puppy blanket" that seems to trap dog hair. 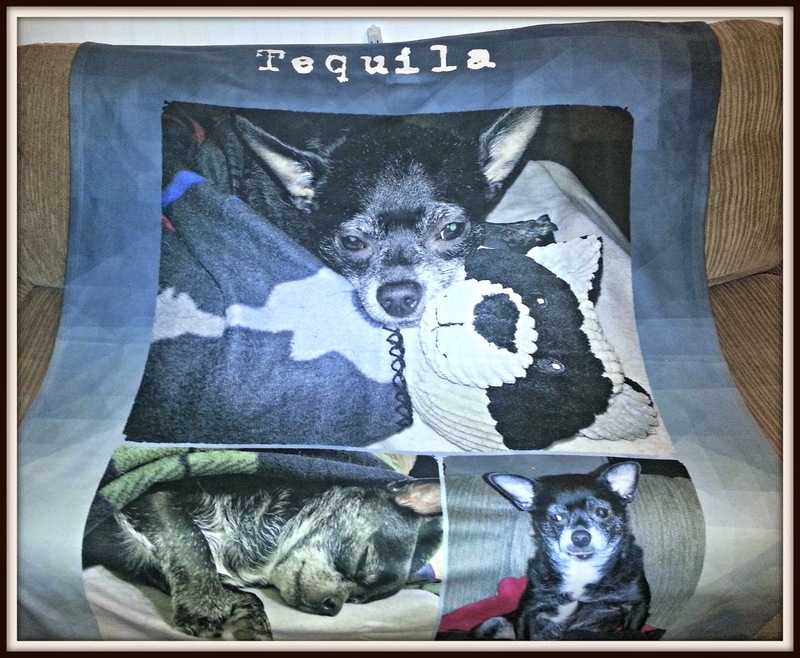 Of course the Collage.com photo blanket has one tough critic that it has to satisfy: Tequila himself. He investigated the blanket as soon as it arrived. He not only approves, but he has tried to steal it from me several times now. I *sometimes* share it with him. However, it is my blanket. I do admit that I was a little nervous about it being a fleece blanket. When I hear the word fleece I think of those thick, uncomfortable sweaters. Luckily, this blanket is nothing like that. The blanket is REALLY soft. It feels more like a softer cotton than the fleece I am familiar with. It is a thinner blanket, but it is quite warm. It is perfect for keeping me warm on the couch in our freezing cold Florida house (we keep the air turned down low). I was very impressed with the quality of this photo blanket. It would make a fantastic gift. You are going to want to buy one for yourself too while you are at it. Collage.com also mentions that this fleece blanket would make a great wall hanging. I love this idea! Collage.com also carries photo books, calendars, posters, photo pillows, wrapping paper, phone cases, photo beach towels, ornaments, tote bags, shower curtains and more. 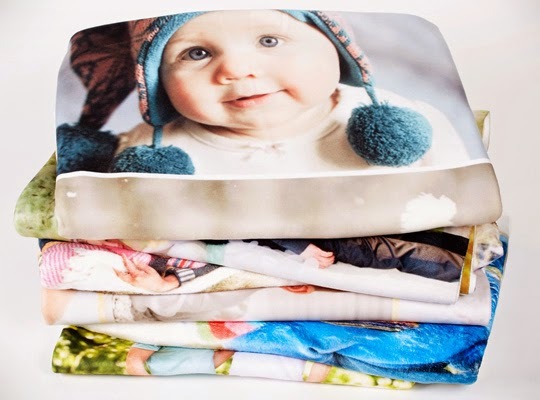 How cool would that be to deliver your photo gift wrapped in photo wrapping paper with the same picture(s) on it? Follow Collage.com on Facebook for some great deals (including Free Canvas Friday). 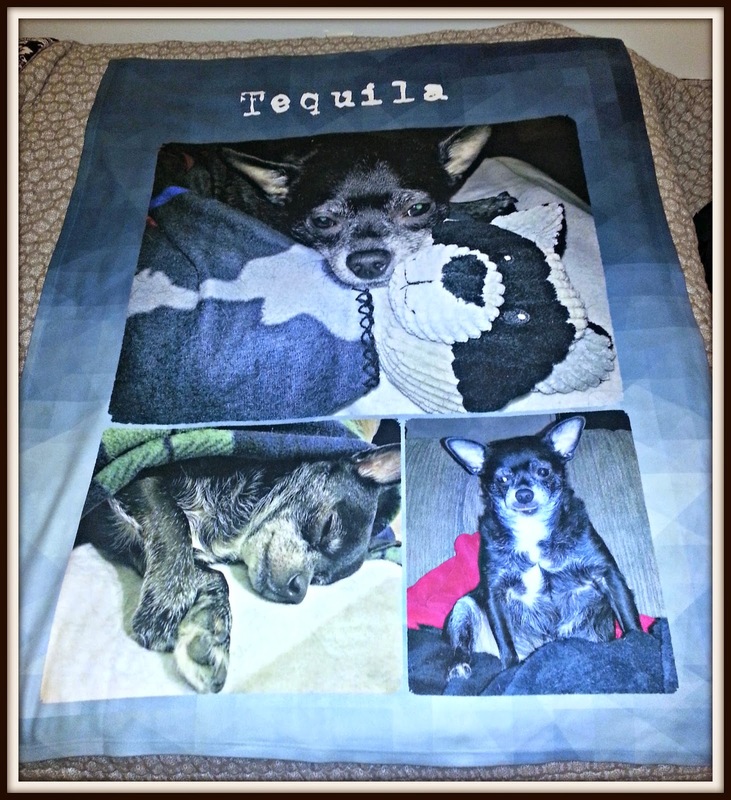 One lucky reader will win a personalized 50" x 60" fleece photo blanket of their own design! Ends 3/29 at midnight. *Disclaimer: I received a free product in exchange for this review. All opinions are completely my own. I would use photos of my kids! How fun! 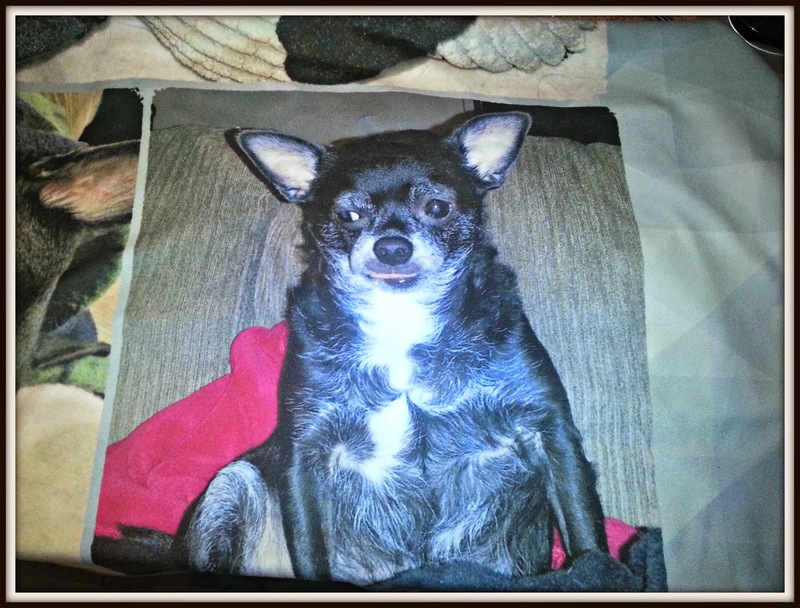 I love that you chose pictures of your dog for the blanket. I'd definitely do the same! If I won I would use pictures from my brother's wedding to put on this blanket. If I got one for my Mom, I would put pictures of my family as well as my brothers family. If I made one for my daughter when she heads off to college, I think I would put pictures of her dog and cat and maybe a couple of family pictures. I would use a photo of our cat. I would also use pictures of my dog! I would use pictures of all of the grandkids and gift the blanket to my mom for Mother's Day. A picture of my family would be a nice blanket to keep on the couch. I would put a picture of my mini horse names Bean on it. I would take a picture of my two girls and our puppy Bella and have it put on the blanket. Thank you!! I would use pictures of the grandkids. This would be great for photos of our daughter. I would love to use a picture of my kids on this blanket. I'd put pictures of the grand kids on this blanket. I would use pictures of my gf and I.